You’ll have plenty of time to review your order before it’s processed. A great wee booklet to have in your pocket all year round on the green….full of great information and tips….5 star! 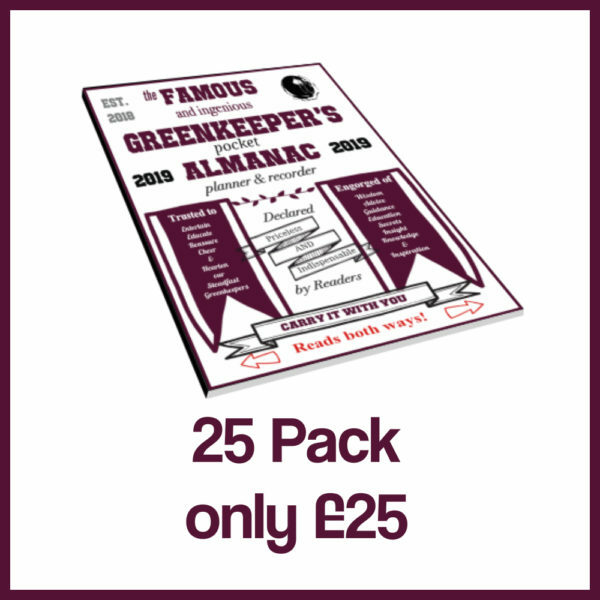 Greenkeeper buddies and buy a pack? I’ve written and published the Greenkeeper’s Almanac 2019 so that I can help as many bowling clubs as possible to achieve a performance bowling green whilst lowering costs, making maintenance more predictable and less complicated. Every page is packed with information to help greenkeepers apply my performance green program…AND lower costs. There is detailed guidance for every month of the year and extra features to explain the key concepts of bowls green management, making it a priceless educational and communication tool. 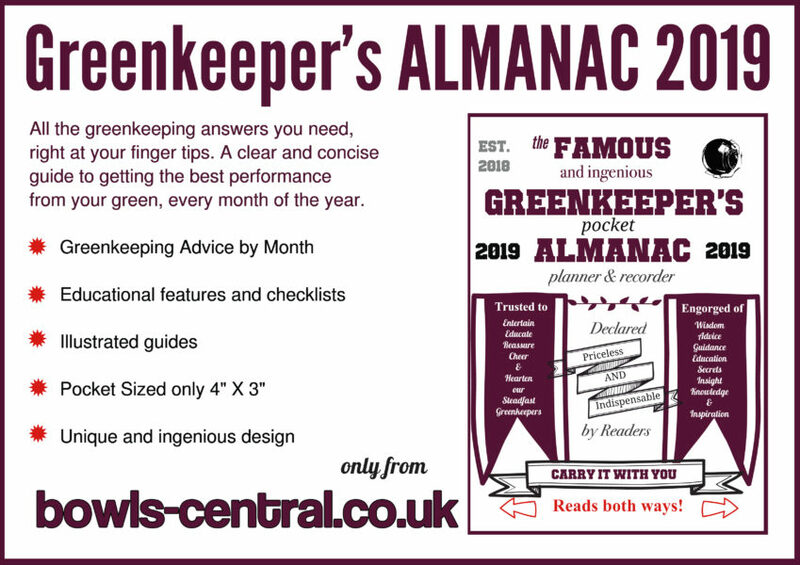 The Almanac is of a unique design in that it has 32 pages, but is created by folding a single sheet of A3, professionally printed, high quality, silk finish paper into 16 double sided pages. This means it’s cheap, easy to share, easy to carry and highly cost effective given the material contained within. 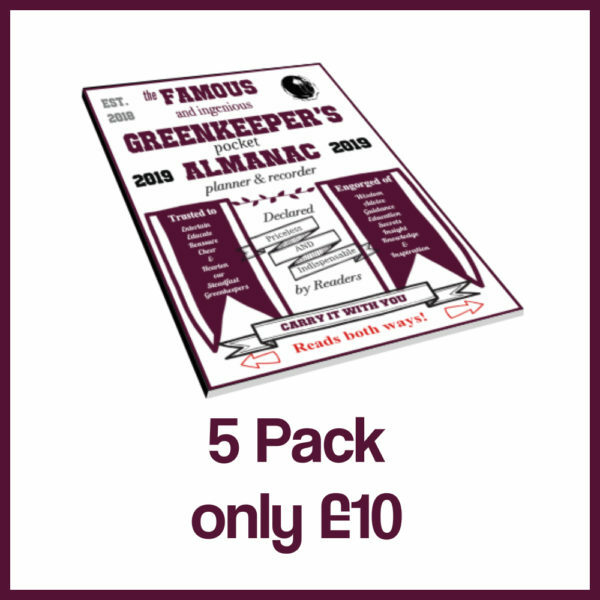 If you are an official of any County or Regional Bowls Association that represents multiple clubs then the 50 pack brings the price down to just 75p per Almanac! Cheaper than a cup of tea.